A good monitor is just as important as a powerful PC, and if you're looking to upgrade your displays, boy have we got a competition for you! 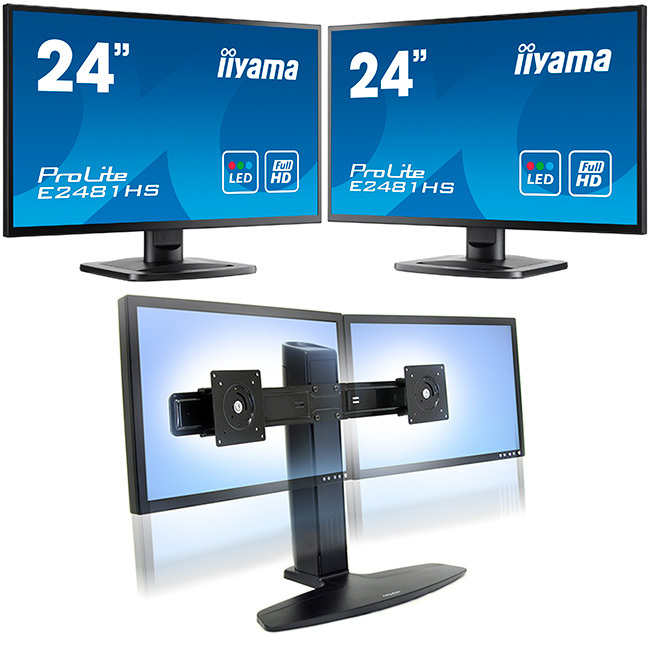 We've teamed up with Iiyama to give you the chance of winning two ProLite E2481HS monitors! Each display offers a full-HD 1080p resolution, and an array of VGA, DVI and HDMI inputs. But here's the really interesting bit; Iiyama will be including a stand that allows both displays to be easily setup in an awesome dual-screen configuration. Whether you're gaming or hard at work, it's bound to be more productive at 3,840 x 1,080, don't you think? Cool prize, nice to see them offered as a pair rather than 2 single prizes. Do miss my dual monitor setup. Or use the money of the flight ticket to buy them yourself :)? Oh, these would look very nice on my desk!